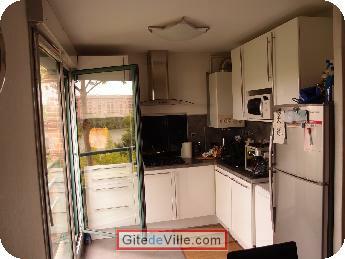 Self Catering Vacation Rental of 43 m² in Toulouse for 4 peoples. 30% à la confirmation de location. 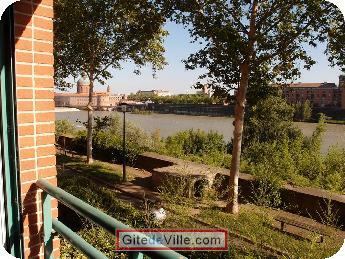 Luxury flat 2/4 people with mobile air conditionner , in secure building : lift , private parking .Sud orientatio with View on the Garonne : sit on the sofa-bed you'll see the Garonne and the ' Pont des Catalans ' . 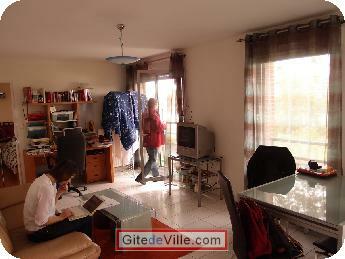 -	A 22 m² living area with double sofa-bed, wardrobe, chest of drawers and desk with Internet and phone. -	A 3 m² entrance. 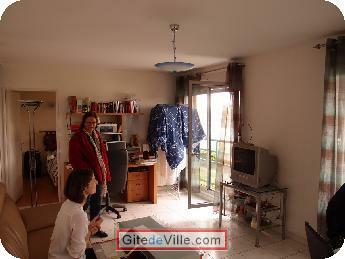 -	All the South-exposed living areas which are not overlooked open via large bay windows onto the Garonne and give the impression of sailing on the river. 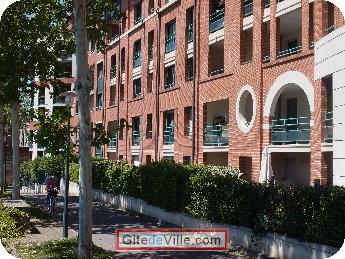 On the first floor: unobstructed views of the Garonne, above “La Coulée Verte” road (pedestrian and cycling road), parallel to the Garonne and the Canal du Midi (listed as a Unesco World Heritage) with direct access to a very beautiful promenade in the heart of Toulouse who fitted their banks into a promenade to make it a place with events and feasts. Cruises of barges. 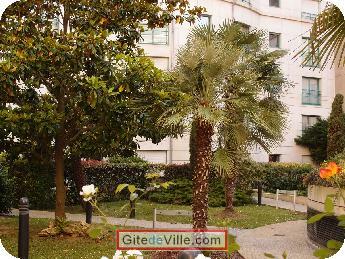 At the foot of the building, in the adjacent streets, you will find nearby shops and daily markets in Saint-Cyprien, Boulevard de Strasbourg and Victor Hugo. 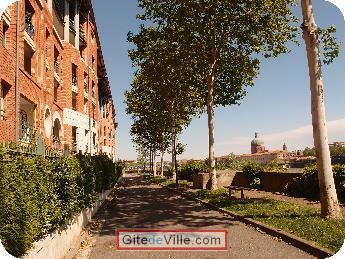 The typical architecture of Toulouse in terra cotta gave it the nickname of “Pink City”. 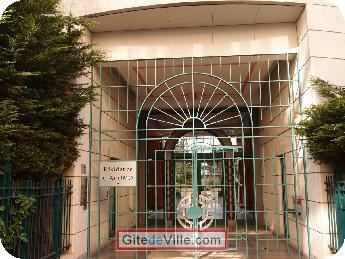 The old centre is divided into: the old Roman town, located in the actual Place Esquirol which grid plan has been modified in the Middle Ages, Le Bourg, medieval district around the Saint-Sernin Church became the district of colleges and universities, Rive Gauche, the Faubourg of Saint-Cyprien is a popular area linked to the general hospital. Amongst the remarkable sites, we can mention the Pont Neuf and the Pont Saint-Pierre but particularly the impressive Église des Jacobins which palm trees vaults house the relics of Saint-Thomas of Aquino. 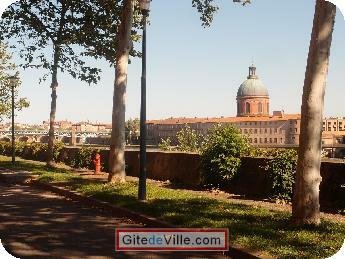 Town in constant expansion, Toulouse is a university town that attracts many students and young actives. Its dynamism also comes from the presence of many top of the range activities which the most famous are probably aeronautics and Airbus factories. In the Cassoulet country, in the restaurants of the centre, taste the best specialties of the region: foie gras, sausages and confit and of course the violet of Toulouse. In the traditional rugby territory, discover a sport that reflects the spirit of warm and convivial people. 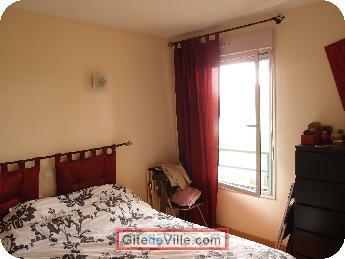 Cité de l'Espace, Capitole, Basilica of Saint-Sernin, Stadium Municipal, Museum, Théâtre du Capitole, Jardin des Plantes, Cathédrale Saint-Etienne, Canal du Midi, Musée des Augustins, Notre-Dame de la Daurade, Hôtel d'Assézat, Château de Pibrac, Musée Saint-Raymond, Georges Labit Museum, Château d'Eau, etc. Last Ads update : 09/15/2017.